The Government is under pressure to increase electric vehicle grants and provide a clearer message on diesel, after new car sales fell for the 12th consecutive month. Demand was down by almost 16 per cent in March, with 88,268 fewer new cars leaving showrooms compared to the same month in 2017. The National Franchised Dealers Association (NFDA) is now calling on the Government to do more to support the industry, with better grants for electric cars and more consistent messaging when it comes to diesel. "The downturn in new car sales has been driven by diesel, with buyers holding off because they simply don’t know where things are going. This has left a huge void and we would like to see the Government do more," said Mark Squires, chairman of the NFDA. Diesel sales have plummeted by 33 per cent in recent months, with 119,000 fewer diesels being registered in the first quarter of 2018 compared to the year before. However, while petrol car sales have increased - by 3.5 per cent/15,089 cars - they haven't plugged the huge gap left by diesel. Sales of electric cars and plug-in hybrids have also experienced a marginal increase but represent a mere five per cent of all new car sales. "A small electric car can easily set you back £30,000. And for the majority that's simply too much"
"Electric and plug-in hybrid vehicles represent a very small number of cars being sold. And when we speak to consumers, they tell us pricing is the biggest obstacle. A small electric car can easily set you back £30,000. And for the majority that's simply too much," added Squires. 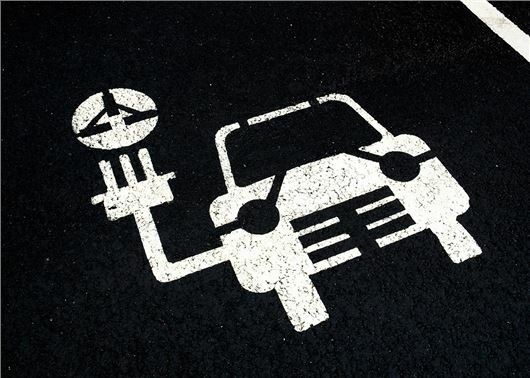 Currently, car buyers can claim up to 35 per cent off the purchase price for an electric car, with the Government providing a maximum grant of £4500; however, the NFDA would like to see this increased to make electric cars more affordable for everyday drivers. It's also urging the Government to provide clearer information on diesel, with modern Euro6 engines often being demonised alongside older, more polluting vehicles. “Diesel still has a role to play for those who drive long distances. A lot has been made of NOx emissions, but not everyone drives in a city. For long distances, on the motorway, a diesel is still the most efficient powertrain," says Squires. “We need larger incentives for electric cars too. In Norway, for example, 40 per cent of the new car market is electric and it’s plain to see why: there is no VAT on electric cars and incentives are heavily stacked for drivers to move away from petrol or diesel. It’s a similar story in Holland. The UK Government needs to do more. “Compared to petrol and diesel, the gap (in price) is too large. The economics tend to trump the environmental issues for buyers and we need to address this. A larger grant would be a great start; I’ve seen evidence that lots of consumers would choose electric if we had price parity. This would make electric cars very much part of the mainstream." Want something but can't afford it? Get someone else to pay. If they're so brilliant why can't they just stand on their own wheels and sell on merit? Should we be putting taxpayers money into the pockets of the big car companies rather than public services like health and education? If someone was subsidising the buyers of my cars why would I need to reduce the price. Manufacturers can't believe their ears. Politicians jumping in with both feet without really thinking about the effect their decisions would make. Great Britain is not just made up of cities. A reader came up with the idea of removing VAT off vehicle parts to make it more financial sense to repair them rather than write them off. Do any Politicians read these points raised by the general public, I doubt it, they are living in their own little bubbles. £33 million spent to Swiss bankers to look after International Aid budget in banks in Switzerland, you could not make it up. And so it continues. First the green lobby insisted that private transport must reduce its CO2 emissions, so Government used the VED tax in the UK to act as an incentive to encourage diesel sales in preference to petrol - particularly as German manufacturers had persuaded the EU to encourage diesel sales as a stop-gap to allow them time to catch up with Japan in hybrid technology - again, the reason was the green lobby insistence that CO2 must be reduced. The increased pollution caused by massive increases in diesel engine use ultimately resulted in an estimated 40,000 additional deaths due to nitrous oxide and particulate poisoning in the UK alone! Remember, CO2 is not a pollutant and has killed nobody, it's essential to life and remains a scarce trace gas measured in parts per million (only 0.04% of 1% of air contains CO2 - if it fell to less than 40% of this figure, life on earth would cease!) Now they want taxpayers to provide huge additional sums to encourage battery electric vehicles that are far too expensive and inefficient to own in their own right. No way. These problems arise simply because our politicians, representatives etc. are all totally scientifically complete ignoramuses. They all need to go back to school to re-learn some basic scientific and engineering "know-how" Carbon dioxide is an essential gas in the life-cycle of plants.Without plants, where would we be? The policy that until recently has favoured diesel cars was based on reducing CO2 emissions, a greenhouse gas that causes global warming. Unfortunately, the UK target of reducing CO2 emissions by 25% over the next 7 years will have virtually no effect on global warming, as our starting point is just 4% of the world's CO2 emissions, so we might reduce to 3%, whilst the USA and China, between them, already emit over 50%. Global issues cannot be tackled by local policies, especially when so many countries have jo interest in following suit. What we need is more joined up thinking over a much longer timescale to provide more sustainable policies on safe clean transport, rather than knee jerk policies to paper over the cracks. At least China is doing something about it and investing in electric vehicles of all sizes. Just google BYD electric vehicles anjd you will see what I mean. The facts are that nobody wants to report on this amazing company. They make an electric double decker bus for the same price as a Boris bus but Boris didn't want to know because he would have lost face with his project that had problems in both design and implementation. The BYD bus can run all day on a single charge were as the Boris Bus needs a diesel engine to help it on it's way. BYD are selling buses all over the world with the help of local construction, i.e. in partnership with Alexander/Dennis BYD provide the running gear and Alexander/Dennis the bodies so China is helping our cfountry ( The UK ) with employment possabilities. No the tax payer should not give money to companies to buy electric vehicles, when they realise that people can not buy alternative power they will have to make them more affordable. It's a bit like Honda can sell a scooter in Thailand for £1000, but the same in Europe for £2000, does it really cost £1000 to transport it to Europe? The technology is not advanced enough and so has no long term future. This thing has not been thought through. It's a knee jerk reaction to a load of unrealistic political garbage. I think the way forward is hydrogen gas. Build loads of big nuclear power stations. Crack water into H2 and O2. Burn H2 in cars, aircraft and any heat engine. No pollution. No carrying around heavy batteries. What's more, these cars are far too expensive. No doubt the manufacturers will urge government to spent our money for their profit. Who would not do so? But the technology is not in place yet to make users want a toy car like Noddy. I use a small car - Kia Picaanto which returns almost 50 mpg consistently and is totally reliable and has been for eight years. Why would I spend £30 K of cash that cannot be recouped realistically on running costs in many ,many years? Even at £10 K electric car would be useless until the range is a reliable 200 miles.Back to the drawing board but Physics gets in the way of course and even politicians cannot change the physical properties of electricity and the storage thereof. I thought the EU was against subsidising industry so why do we subsidise electric cars and charging points both at their homes and in the towns, they don't pay anything to use the roads and are allowed to charge on household electricity at 5% VAT instead of of the standard 15%. They should be left to stand on their own merits if they have any, these cars are so expensive only the well off can afford them, they will not have a long service life like petrol and diesel cars as the batteries will cost more than the value of the car after a few years so another reason only the well off can afford to run them. As most other commentators agree - electric cars are insanely over-priced. A small car for £25,000 to £30,00 when something (larger) is available for between £6000 and £10,000? It's a no-contest and only the stupidity of the government is following the mad "man-made-global-warming-we-are-all-going-to-die" scam props up sales. I've just driven across Europe and back in a Skoda Superb 2 litre Diesel. Computer mpg read 67.4 mpg which was an actual 63.5 mpg. Home and back with just two fuel stops in 1800 miles. Electric? No thanks. Politicians have the arrogance to try and convince people that they are driving the wrong vehicles and that we are guilty of polluting the air we breathe, but just look at their own methods of transport. In London, in particular, they could at least practise what they preach and use electric vehicles to get around, instead of huge limousines. So if they cannot set an example, why should the rest of us have faith in their fanciful ideas that are ill thought out and not backed up with decent infrastructure to support it. It is frankly ridiculous to make taxpayers subsidise electric vehicles. Those on minimum wages, who still pay tax and national insurance, will effectively be subsidising those much higher earners to buy an electric car that pollutes as much as an old petrol car. Those lower earners will never be able to take advantage of the subsidy. There is no logic in this suggestion. Why not use taxpayers money to help people travel from Birmingham to London thirty three minutes faster by train than they do now? I tend to agree with your writer who suggested electric cars should sell on merit and govt subsidy is hardly fair if the less well off taxpayer is contributing up to £4.5K towards someone who can afford to pay £20-£30K. I would love an electric car but in the countryside the range for an affordable second hand one is totally useless. I'd love a Tesla but not it's purchase price!